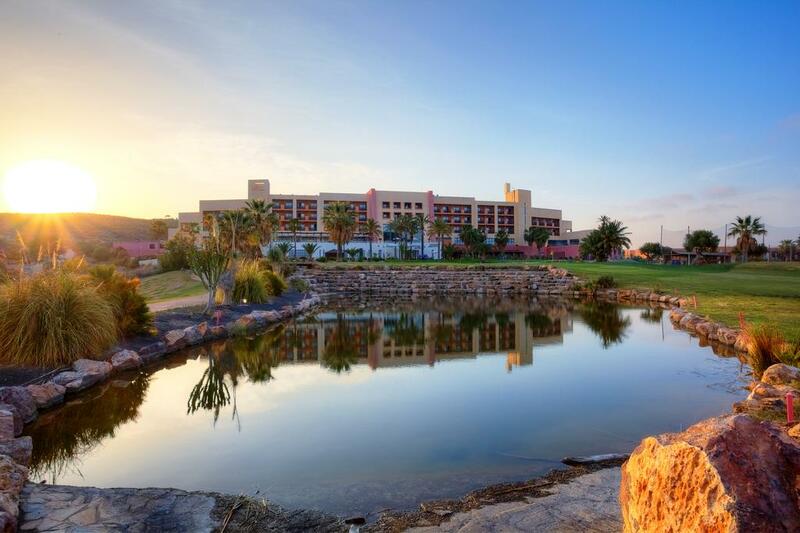 3 Nights at 4* Hotel Valle del Este Golf & Spa Resort, H/B. 3 days unlimited golf on Valle del Este. 3 Nights at 4* Hotel Valle del Este Golf & Spa Resort, H/B. 3 days unlimited golf on Valle del Este. Based on 2 persons sharing a twin room. Almeria is a sun-drenched province of Andalucia in south eastern Spain where Europe's only desert is found. The arid landscape and climate that characterizes part of the province have made it an ideal setting for Western films, especially during the 1960s, and much of this area is a sparsely populated wilderness. Apart from tourism, the most important economic activity is greenhouse farming due to the hot climate and the natural protective barrier of the Sierra de Gador, with more than 10,000ha of land cultivated commercially for fruit, vegetables and flowers. Although bringing new wealth to an area of Spain that used to be economically depressed, this intensive agriculture means that a good chunk of the coastal territory is under wraps, swathed in field after field of plastic greenhouses. Fortunately, an equally sizeable area has so far escaped being swamped by greenhouses by virtue of its protected status as one Andalucia´s most outstanding wildlife areas and Spain's largest coastal reserve, the Cabo de Gata-Níjar Natural Park. Almeria also boasts the clearest skies in Europe, with an annual average of 3,000 hours of sunshine, and as a result Almeria is home to Europe´s most powerful telescope and Europe's largest solar energy plant. 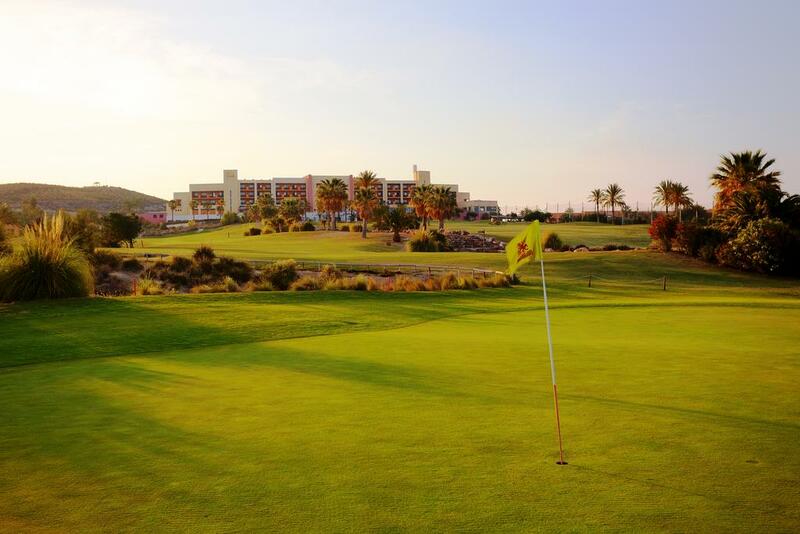 With several top class golf courses on offer, Almeria is an up-and-coming destination for golf holidays in Spain. With the same outstanding climate as the Costa del Sol to the West, but far less developed and as such considerably quieter, Almeria is becoming increasingly popular with holiday makers thanks to excellent golf resorts like Valle del Este, Almerimar and the Desert Springs resorts, with its outstanding par-72 championship golf course inspired by the best desert courses of Arizona and California. The course was designed by Peter McEvoy, who was charged with creating a layout that would be both enjoyable and practical for all holiday makers. Away from the golf courses, holiday makers to the region can enjoy the delights of the provincial capital and port of Almeria, overlooked by the Alcazaba, a vast sprawling Moorish citadel. Also worth exploring is Almeria´s old town, scattered with interesting monuments, including a cathedral with an impressive Gothic interior, and great tapas bars. Elsewhere along the coast are charming traditional fishing villages, while the nightlife centres of Roquetas de Mar and Mojacar provide plenty of entertainment, making Almeria a perfect choice for the complete golfing holiday in Spain.